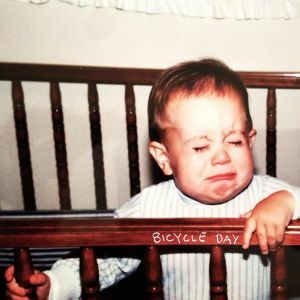 After delivering a cassette on Lollipop Records in 2014 that was criminally overlooked, BICYCLE DAY return early in 2015 with a 7″ split with UNITY. It’s not quite available yet, but in the future these tracks will be pressed to wax – they’re splitting the 7″ with Unity (Jeffrey Cheung from Meat Market), who are based in Oakland, CA – we’ll provide more details when those tracks become available. As for Bicycle Day, they’ve supplied two new tracks for the 7″, both offering a different angle from their cassette from 2014. Compared to that tape, these new tracks sound slightly cleaner with less of that dull, grungy sludge clogging the pipes – they’re noticeably brighter this time without much of the punk thing going on. “Man With No Name” confirms that instantly with a glinting guitar intro, like you’re staring right into the haze of the sun and squinting deliriously. There’s a bit of a surf twang woven in as the bruising rhythm takes ahold. There’s a darker, shamanistic quality stemming from the muffled vocal chants, sounding both primitive and mystifying all at once. They maintain the same staggering pace in B-side “Montana.” They’re lazier and strung-out, but it’s all held in place thanks to the steady shuffling of the tom-tom. Guitar licks rattle out and refract in the light of the sun until they speed up the pace in the final 30 seconds with a snarling lead guitar. Give each track a whirl right below – keep your eyes on that page if you’re looking to buy the wax in the near future. 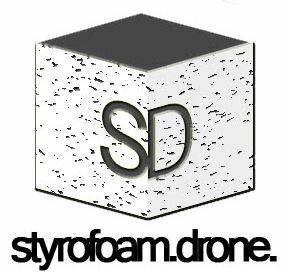 Posted on February 25, 2015 by styrofoamdronePosted in ReviewsTagged 2015, Bicycle Day, Digital Regress Records, garage rock, Man With No Name, pop, psychedelic, Unity.